I’ve always been fascinated by inventors; people who take existing things and find innovative uses for them or who create from whole cloth. People like Marconi, Tesla, Leonardo da Vinci and George Washington Carver have managed to play an indelible role in human history simply by their willingness to dream and dream big. From humble beginnings as a slave in Missouri, he managed to claw his way to greatness through sheer ingenuity and persistence. Despite being denied higher education due to his race, he never gave up his dreams of making a difference. 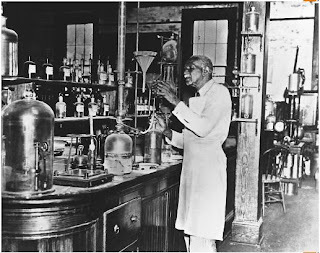 He was especially interested in botany and agriculture and would later become the first black student and teacher at the Iowa State Agricultural College. He would then complete both his Masters and PhD in Botany and would come to prominence with his work At Iowa State. Carver’s most famous contributions to the field of agriculture and botany would take place under Booker T Washington’s patronage at the Tuskegee Institute. He developed innovative crop rotation methods and introduced alternative crops for farmers that would help repair the damage done by the proliferation of cotton production. 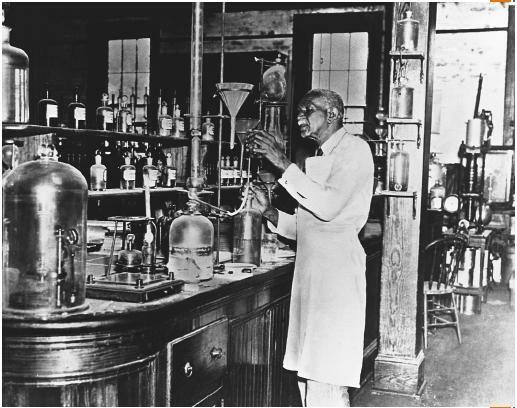 Carver performed extensive experiments on different uses for crops such as peanuts, sweet potatoes, soybeans and other crops. His tireless work in this field eventually made him one of the most famous black Americans during that time and in 1916 was made a member of the Royal Society of Arts in England. “When you do the common things in life in an uncommon way, you will command the attention of the world."